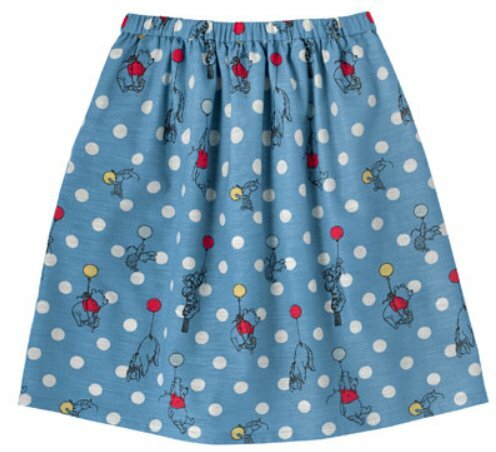 Cath Kidston have announced that their next collaboration with Disney will be a Peter Pan collection. As a fan of Tinkerbell this pleases me greatly. However, past experience shows, I’m not likely to get much from the collection if anything as everything sells out so quickly. The collection launches online on Thursday 21st September at 7pm. This time it looks like a large collection including items in bags, clothing, homeware and Cath Kids! There is currently a preview online that can be viewed here. 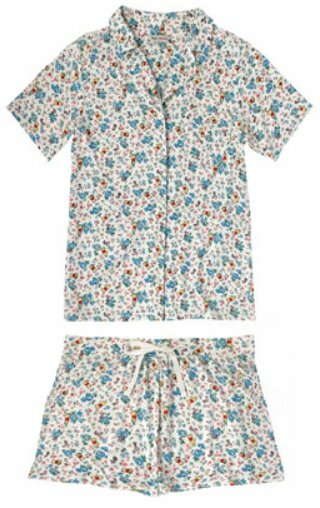 All images in this post are courtesy of the Cath Kidston website. I really like the Tinkerbell polka dot dress. 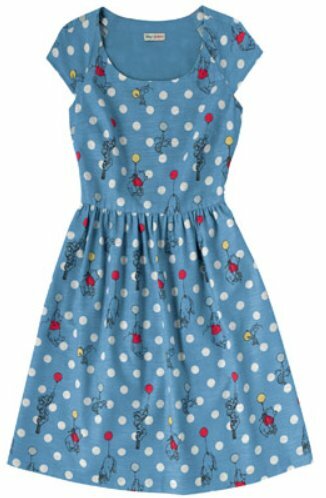 It even looks like this comes with a Peter Pan collar! Very clever. They are also bringing out a skirt. Now Cath Kidston bags are my thing and I couldn’t choose just one so I’m going to be sharing them all, starting with this large navy tote. It has the iconic image of Peter Pan, Wendy, John and Michael as they fly over the London skyline to Neverland. This rucksack will be mine! I have the original London print this is based on as a rucksack so I need to add this to my collection. These bags are so cute. I can’t be sure but I think the small silver star bag/purse is probably a Cath Kids bag. The navy star bag/pouch at the front looks like either a small structured bag or maybe a foldaway shopper bag. But can we just take in the Tinkerbell clutch bag? That is beautiful! The home items are lovely and I definitely want the London print cup that matches the rucksack. I also like the notebooks and pencil case. I probably wouldn’t order the cushion or crockery but that’s just because it wouldn’t match my house! Although I do need some new crockery! The Cath Kids items are so cute! I’d quite like the nightdress, Tinkerbell backpack and dress myself! 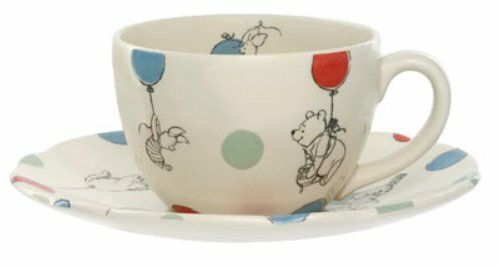 So the first of the Disney X Cath Kidston collaboration has launched and already some of the items are sold out. They’ve released the Winnie the Pooh prints first. I’ll not be ordering anything as I’m holding out for the Minnie and Mickey items but here are my favourites from the range. The dress is £75 and the skirt is £40. I love the cut of the dress and the cute cap sleeves but also love how if you have just the skirt you can team it with a plain top so it’s not as much print all at once. 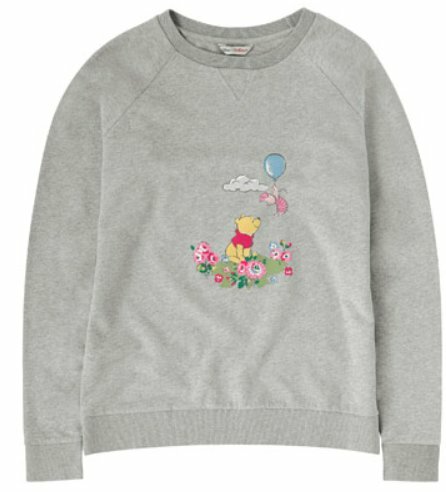 A cute design on a sweater that’ll be perfect for keeping warm now the days are turning chillier. This is Limited Edition so be sure to keep your eyes out for it coming back in stock. 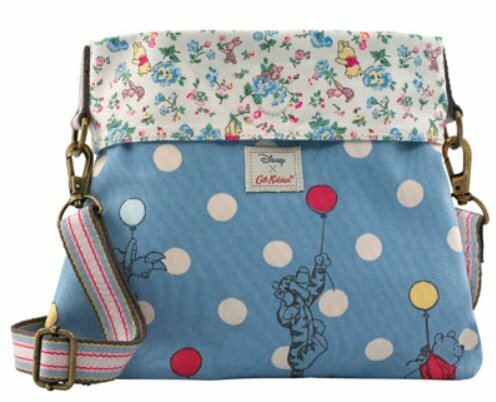 I have a couple of this style of bag from Cath Kidston and they are so perfect for when you have a lot to carry. They’re surprisingly roomy and with it being reversible, its like having two bags in one! I love the flowers on these and it’s a true Cath Kidston print. These are Limited Edition too so grab them while you can. Cath Kidston crockery lasts so well. I have a few cups and saucers in various London prints and they look lovely on display but wash well and are sturdy. There are also home ware and baby items available but these 6 are my favourites. I’m so excited to see what they release next!